Goodreads says, "With her older sister, Emma, planning a wedding and her younger sister, Sophie, preparing to launch a career on the London stage, Lulu can’t help but feel like the failure of the Atwater family. Lulu loves her sisters dearly and wants nothing but the best for them, but she finds herself stuck in a rut, working dead-end jobs with no romantic prospects in sight. When her mother asks her to find a cache of old family recipes in the attic of her childhood home, Lulu stumbles across a collection of letters written by her great-great-grandmother Josephine March. In her letters, Jo writes in detail about every aspect of her life: her older sister, Meg’s, new home and family; her younger sister Amy’s many admirers; Beth’s illness and the family’s shared grief over losing her too soon; and the butterflies she feels when she meets a handsome young German. As Lulu delves deeper into the lives and secrets of the March sisters, she finds solace and guidance, but can the words of her great-great-grandmother help Lulu find a place for herself in a world so different from the one Jo knew? Vibrant, fresh, and intelligent, The Little Women Letters explores the imagined lives of Jo March’s descendants—three sisters who are both thoroughly modern and thoroughly March. As uplifting and essential as Louisa May Alcott’s Little Women, Gabrielle Donnelly’s novel will speak to anyone who’s ever fought with a sister, fallen in love with a fabulous pair of shoes, or wondered what on earth life had in store for her." The three Atwater sisters are all very different. First, there's Emma who is reliable, goodnatured, and is currently planning a wedding. The middle sister, Lulu, is as eccentric as her name. She graduated college with a fabulous degree in the field of science, but has decided that it's not for her and has taken up miscellaneous jobs that are subpar. The youngest sister, Sophie, is a ditzy, lovable actress who is trying to find her dream part on the London stage. Fee, their liberal and unconventional mother, asks Lulu to look for old family recipes in the dark and cobweb filled attic. While Lulu is up there, she discovers her great-great-grandma Jo's letters. Through the years Grandma Jo has been the subject of many lighthearted jokes, but after reading some of her letters, Lulu is captivated by Jo's life and finds comfort in them. 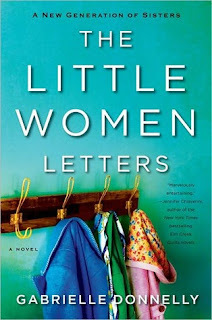 Fans of Louise May Alcott's Little Women will be delighted by Gabrielle Donnelly's The Little Women Letters. It's easy for readers to at least identify with one of the sisters in The Little Women Letters as they are all decedents of Jo March. Just as readers were able to identify with Meg, Jo, Beth or Amy, it's the same case here. Their interactions are at times funny, especially with Donnelly's use of witty dialogue. Emma, the eldest sister, annoyed me with her perfection, but let's be honest, we all know someone like this! Lulu, I personally liked, as she marches to her own beat. She is finding her own way despite intense pressure from her parents to use her science degree. Sophie is also likable in her own whimsical way. She's beautiful, captivating, everyone loves her, and she's a scene stealer. In essence, she's the quintessential baby of the family. I loved the way all three sisters interacted with their mother, Fee. Donnelly captures sisterly jokes, family dynamics, and entertaining dialogue extremely well in The Little Women Letters. The letters that Donnelly includes, which are Jo's letters to her various sisters, were spot-on. It was as if Jo, one of my favorite literary characters, was alive and well in another novel. Donnelly truly brings Jo to life and serious fans of Little Women will love this. 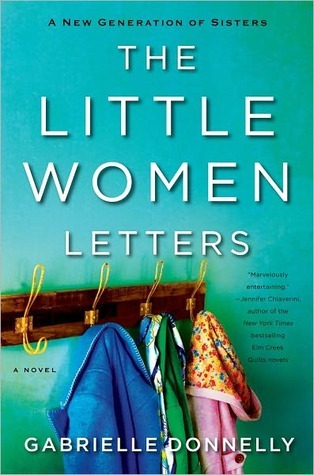 True, some of the letters were longwinded, but I enjoyed this charming slice of Little Women and a glimpse at a simpler way of life. Readers will enjoy Lulu's newfound connection and appreciation of one of her relatives. It's true that there's not a lot of romance or action in The Little Women Letters, but Donnelly does an expert job of illustrating a modern family's life in London and I'm sure many readers can relate to the story. It's charming, heartwarming and more importantly, it made me want to revisit one of my favorite classics. You can't help but finish this book with a smile on your face. *Thanks to Kaitlyn at S&S for sending me this book in exchange for an honest review. Little Women is one of my favorite books of all time. Thanks for posting about this one, I've added it to my TBR list. I've been wondering whether to get this one or not and I really do think it is a book that I would like. Sounds like this book would be a roundabout way of revisiting one of my favorite reads. I didn't much enjoy this one, but I think that's because I am a casual reader of Little Women at best. I was never a big fan of the book. I think Little Women fans will love this.